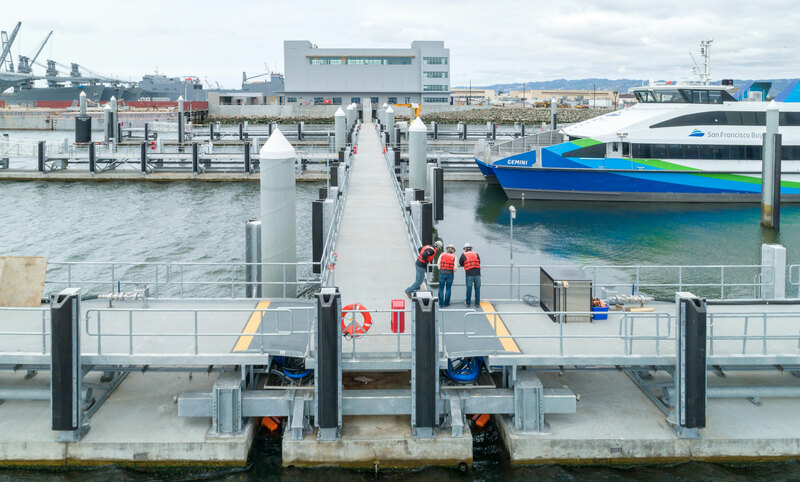 Power Engineering, in a joint venture with Overaa Construction, completed design through construction of the Central Bay Operations & Maintenance Facility for Water Emergency Transportation Authority of San Francisco (WETA). 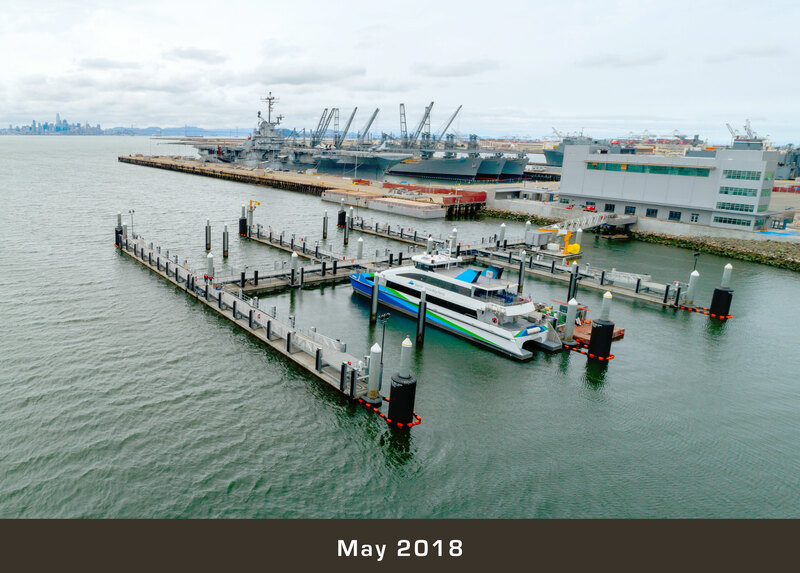 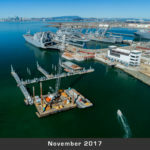 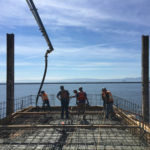 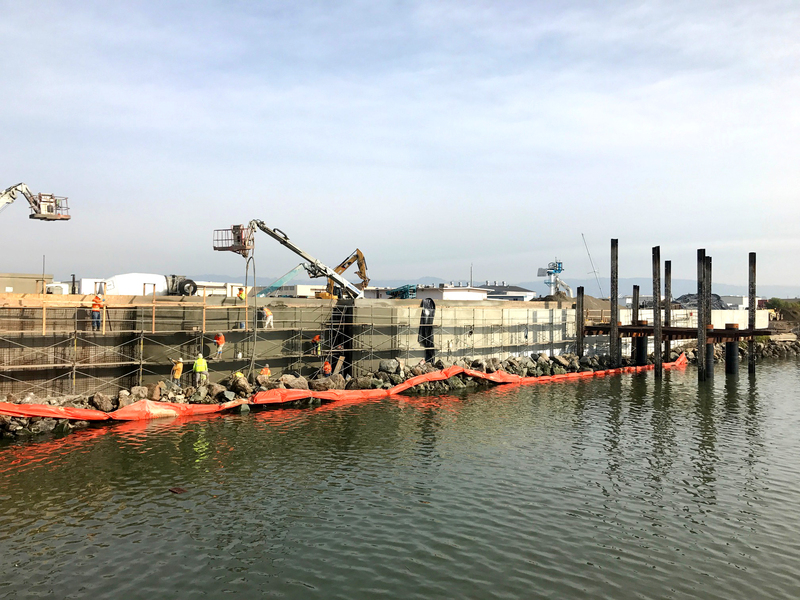 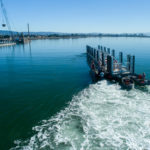 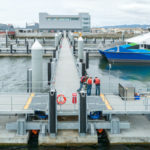 This new ferry terminal will support maintenance of San Francisco Bay Ferry’s fleet of vessels and function as an emergency operations center in the event of a regional disaster. 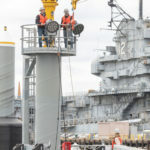 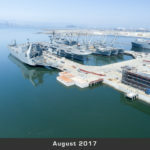 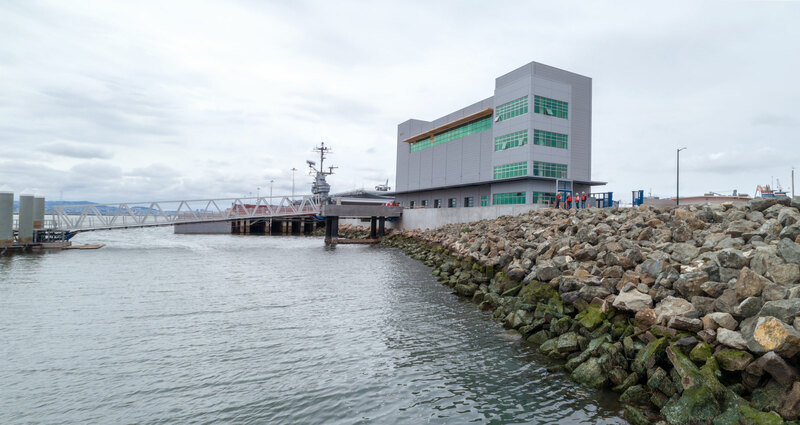 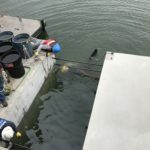 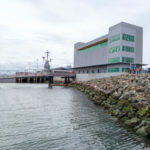 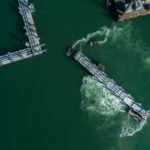 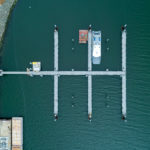 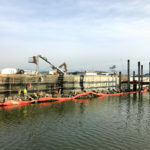 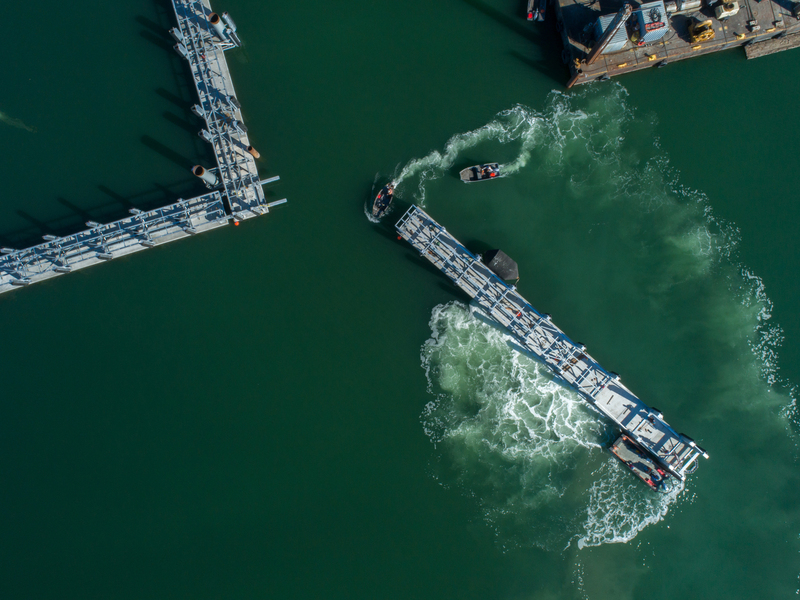 The facility includes a four-story building and working yard in addition to a vast floating marine facility with berthing slips and utility connections for twelve 400-passenger ferry boats. 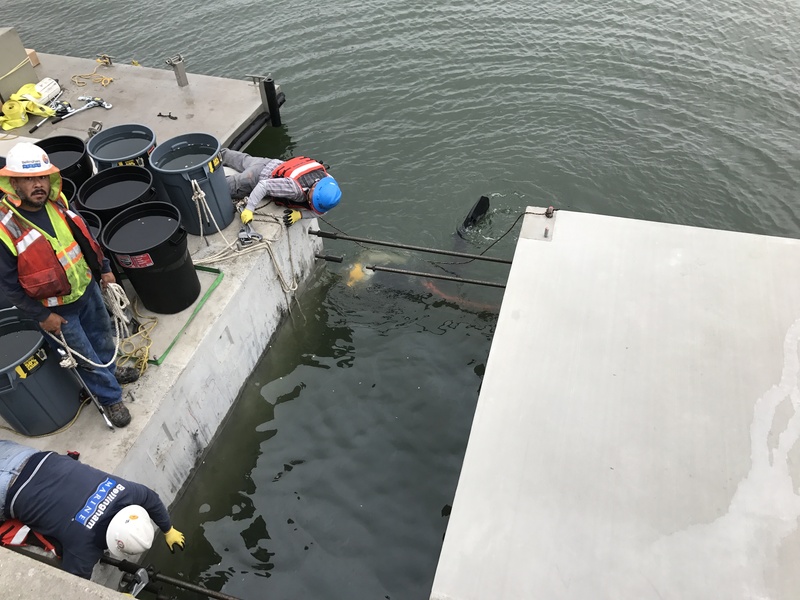 The vessels will be serviced, cleaned, fueled and stored overnight at the facility. 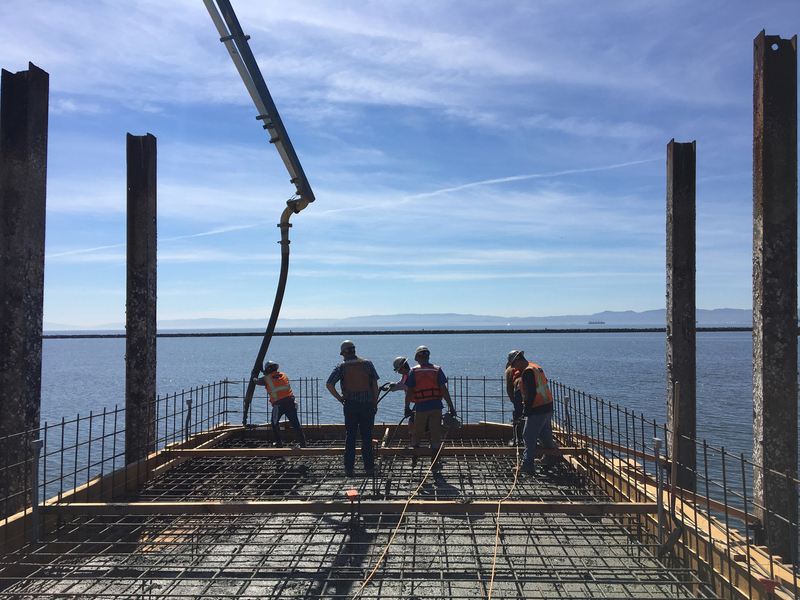 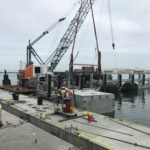 The over-water dock structure is 14,000 square feet of concrete floats with 10-foot high steel walkway structures anchored to the top. 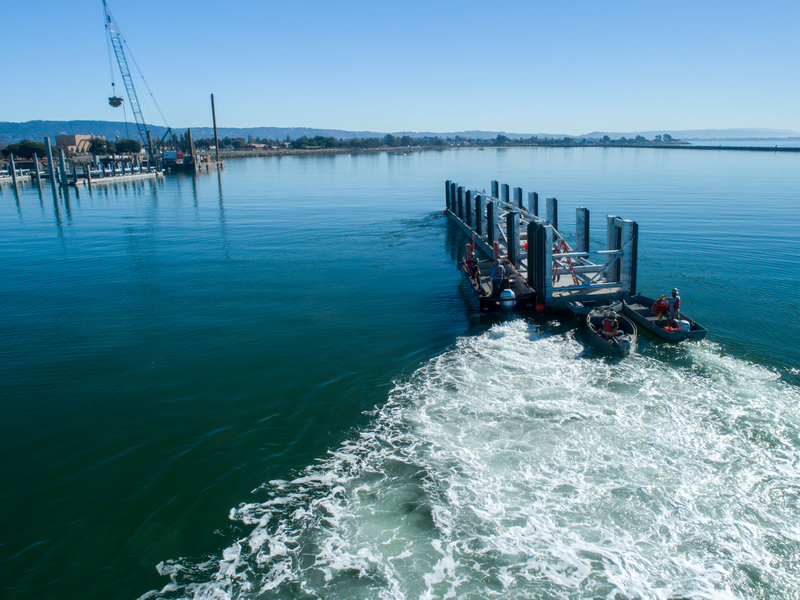 The main float walkway extends over 450 feet offshore with 6 finger floats each extending 134 feet perpendicular to the main. 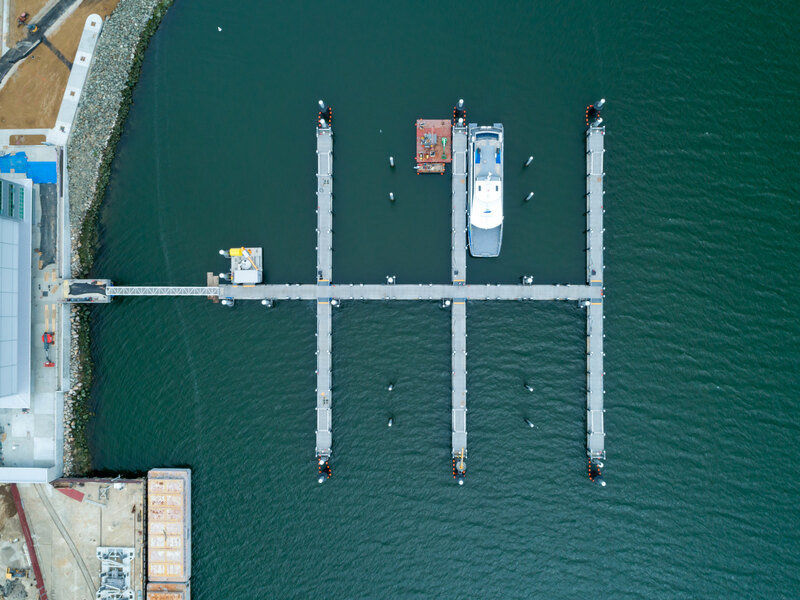 There are 10 different utility lines running from land out to the various mooring slips. 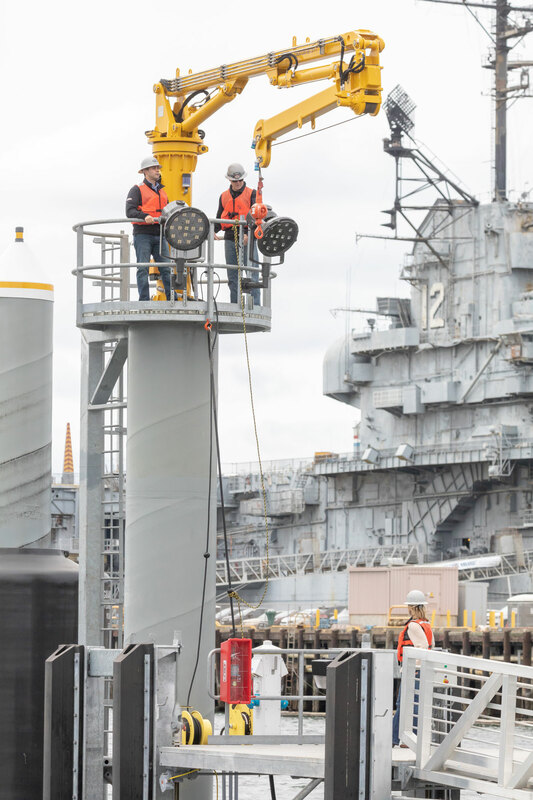 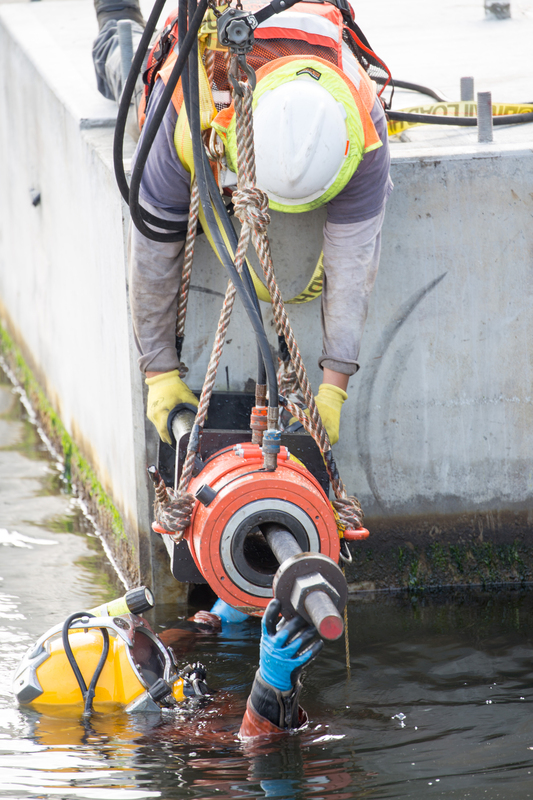 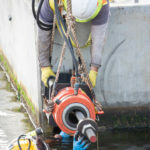 Vessel support utilities include sewer, bilge water, potable/utility water, compressed air, fire suppression, shore power, terminal lighting, communications, fuel oil, lube oil, and waste oil. 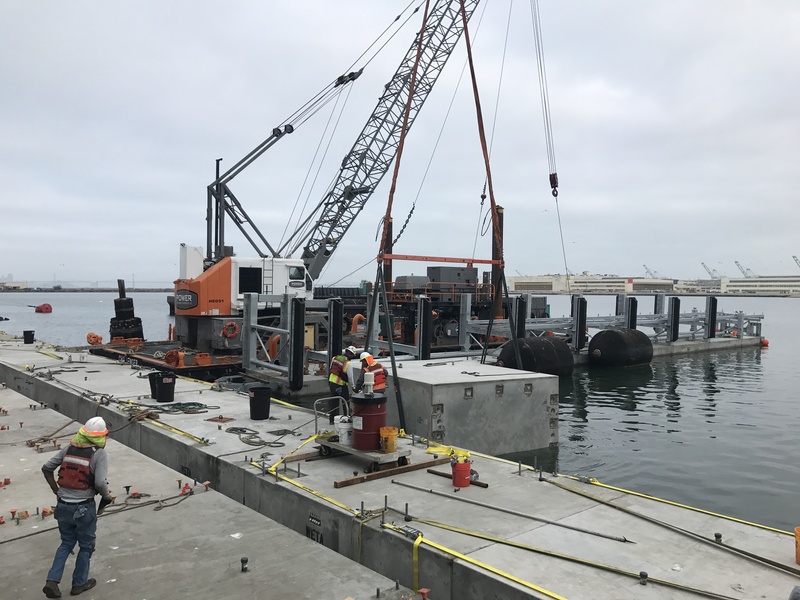 There is also a 30-ft x 30-ft service float that serves as the waterside maintenance hub for the marine terminal. 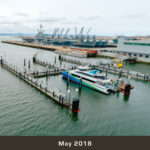 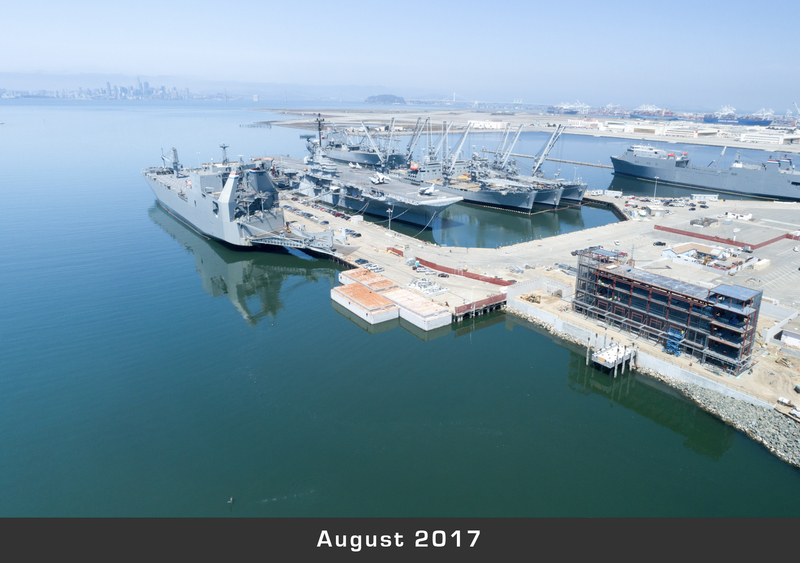 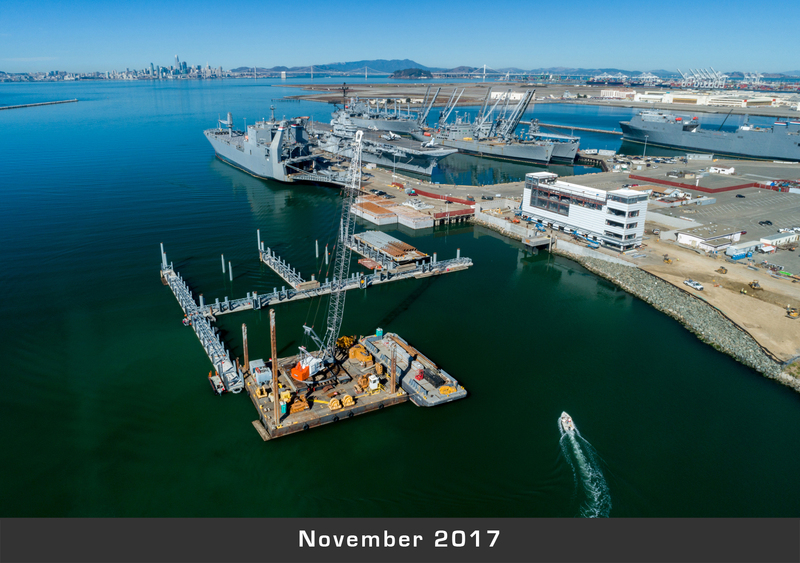 As the WETA operations team begins to occupy the facility, the consolidation of the central bay fleet will provide a whole new way for WETA to address the increased need for ferry service, care for their assets and ultimately serve a greater number of Bay Area residents in the coming years.